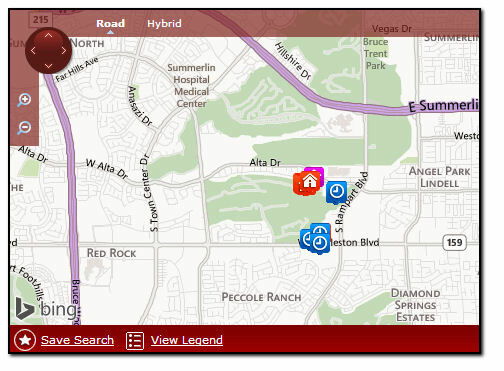 Queensridge is a guard gated Las Vegas luxury community located in Peccole Ranch, which is a masterplanned community adjacent to Summerlin in the western part of the Las Vegas Valley surrounding the Badlands Golf Club. The golf course features desert landscaping and has absolutely breathtaking views of the Red Rock Mountain Range to the west and panoramic Las Vegas strip views to the east. Below you can view all the homes for sale in the Queensridge Summerlin subdivision located in Las Vegas Nevada. Listings in Queensrigdge are updated daily from data we receive from the Las Vegas multiple listing service.